More than two months after Hurricane María devastated Puerto Rico, the island remains in crisis, with hundreds of thousands still without electricity or clean drinking water. 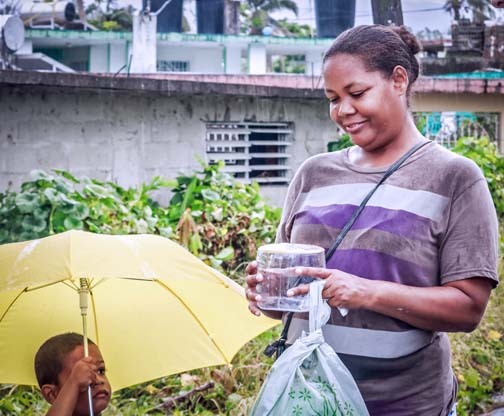 Saying “this is one of the worst humanitarian disasters in U.S. history,” OHorizons, a global nonprofit organization, is embarking on a massive Puerto Rico relief initiative that is saving lives by putting their global experience of implementing practical, scalable, and locally empowering clean water and off-grid electricity solutions in Southeast Asia, Africa, and Latin America into practice in Puerto Rico. “The impact of Hurricanes Irma and María stuck particularly close to our hearts,” said Orlando Bustos, founder of OHorizons and a Puerto Rico resident. “This is still a humanitarian emergency. Just yesterday, I was talking with women residents of Utuado who described the fear they experience nightly in total darkness,” he said. OHorizons is aiming to help across 34 rural municipalities it has identified as underserved and at-risk. The organization has roots and a network of resources on the island: including locally based team members, a staging ground, tools for consolidation and assembly; as well as a fleet of 500 food trucks and local drivers, its own helicopter, and access to heavy machinery for harder to reach areas. 20,000 hollow fiber membrane water filters — each filter removes more than 99.999 percent of bacteria and protozoa that cause waterborne illness and meets the daily needs of 100 people. 25,000 solar battery light and charging systems that generate power for up to 15 hours per charge, lighting up a house and charging mobile USB devices. It is also distributing inflatable solar lights that are lightweight and simple to use. 500 portable generators — providing energy for emergency/medical situations. 75 solar refrigeration units — so hospitals can store their vaccine and other supplies safely. OHorizons has already done product distributions in Humacao, Río Grande, Utuado. Hey Buddy!, I found this information for you: "OHorizons embarks on PR relief initiative to provide clean water, power". Here is the website link: https://newsismybusiness.com/ohorizons-initiative-provide/. Thank you.